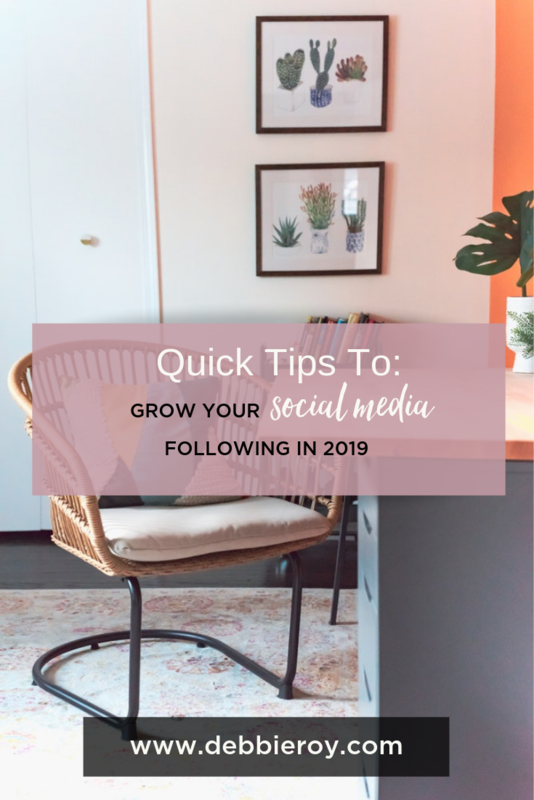 It's no secret that I love organic social media growth, it can help your business get in front of a bigger audience, and you can leverage social media for your customer service efforts. Here are a few tips that you can implement to help you with your efforts. Remember, a great social media strategy, one that nurtures your audience should help you grow your following organically. Use these tips alone, or along with your current strategy. ✅ Cross-promote your social media accounts. Invite your audience to follow you on your other platforms from time to time. ✅ Share your Instagram posts on Pinterest, linking back to your Instagram profile. If you tend to share any form of motivational quotes, or even marketing sayings and quotes, these do well on Pinterest. ✅ Reach out to other entrepreneurs for guest blogging opportunities, and together, create a schedule of when you will cross-promote this to your prospective audiences. ✅ Add a CTA (call-to-action) to follow you in your social media posts. ✅ To follow the call-to-action tip, when you share value on social media, ask your audience to follow you to learn more. ✅ Don't forget to add your social links in your next email campaign. ✅ Actively engage with others on social media. If you want others to engage with you, you need to be proactive with your engagement. ✅ Add your social links in your email signature. ✅ For Instagram, utilize stories and tag your account in your story posts. ✅ Offer value regularly, interesting content that can contribute to someone's learning always wins. Simple, small steps that can help contribute to your organic growth on social media.